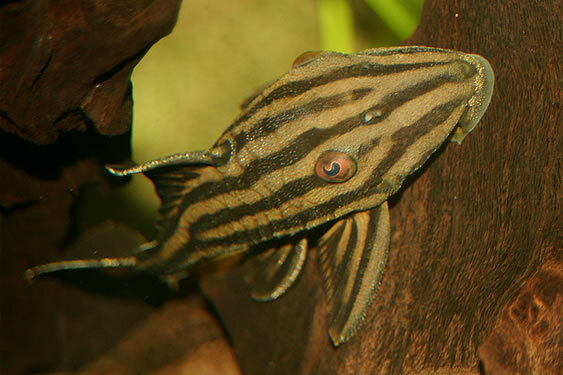 Piranha-Info.com© :: Royal Pleco "Rio Tocantins"
South America: Rio Tocantins, Pará, Brazil. 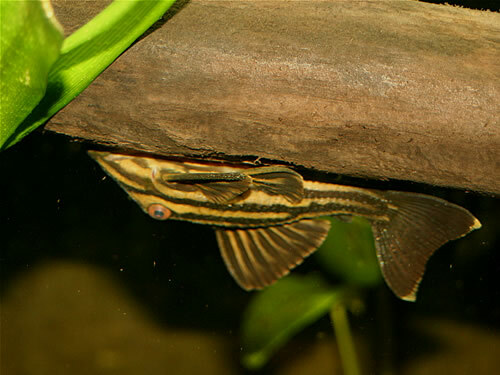 A spaceous tank with dimmed lights, a large supply of drift wood (see diet), and lots of hiding places (plants, rocks) is ideal for this impressive, colorful and potentially very large catfish. 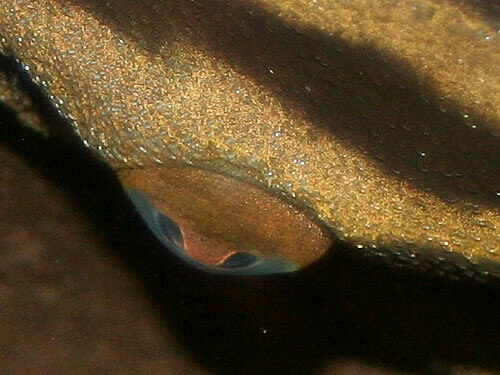 A single young specimen can temporarily be kept in a relatively small tank: a 24-32" (60-80cm.) 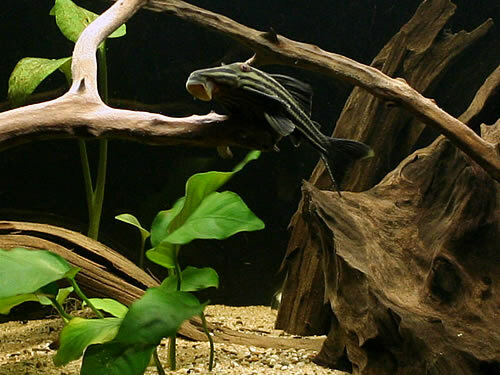 long tank is enough, if enough filtration is present. 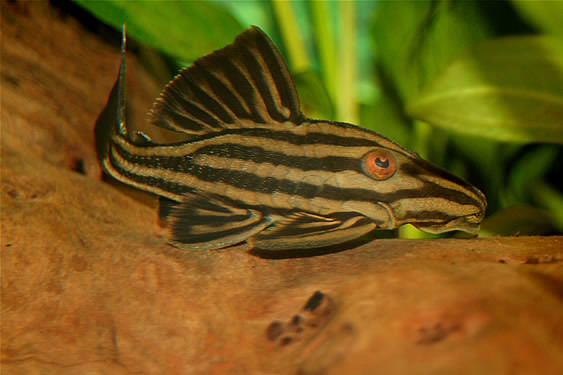 Multiple juveniles should be kept in a tank of of 32-40" (80-100cm.) 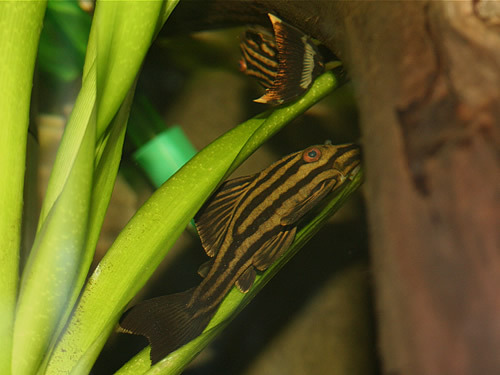 or more in length, the amount depending on factors such as filtration, water change schedule and amount of avaiulable hiding places. 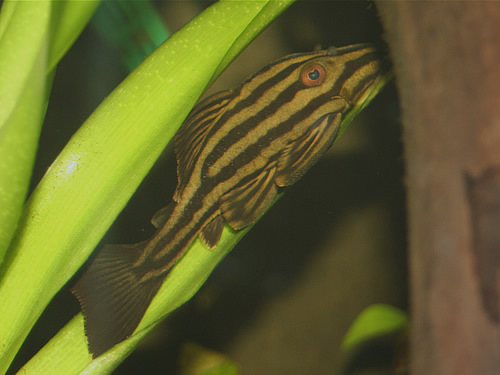 Full-grown adult requires a much larger tank: at least 60x24" (150x60cm.) 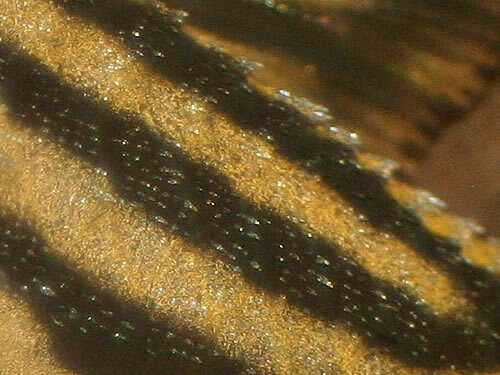 for a single specimen, and 80x24" (200x60cm.) 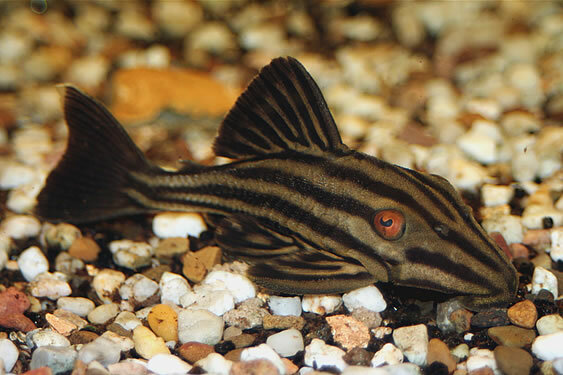 for more than one specimen: this fish requires plenty of personal space, as they can be very territorial, especially towards its own kind, and are capable of inflicting serious injuries. 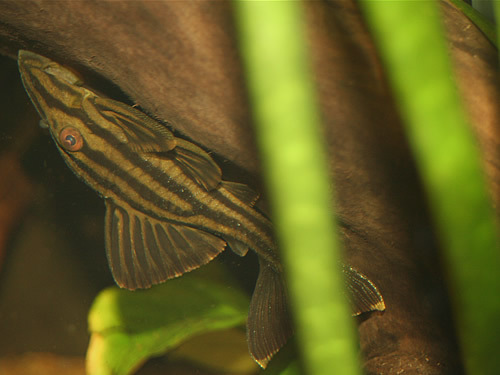 The Platinum Royal Pleco does best in soft, slightly acidic to neutral water (pH 6.0-7.0), heavy oxygenation and a lot of underwater currents. 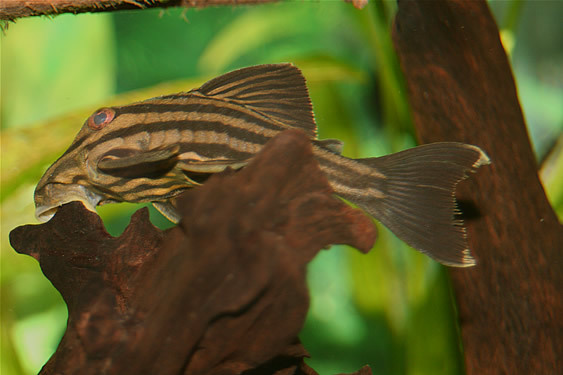 A very powerful filtration system is required, as this fish produces a lot of waste due to its size and diet. 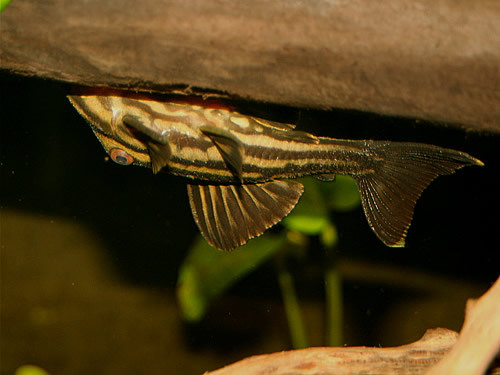 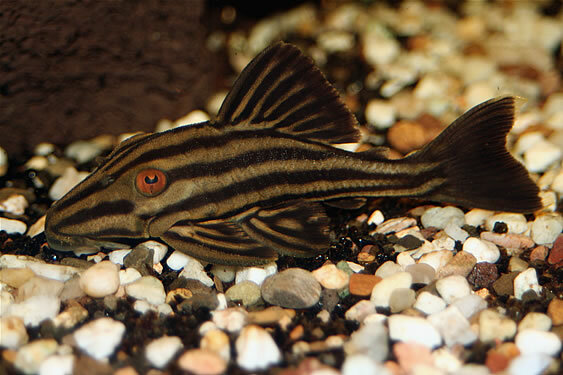 This suckermouth catfish is a wood-eater, like the much more common Clown Pleco (and all other species from the genus Panaque, including those known to some as Panaqolus, as well as the members from the genus Cochliodon). 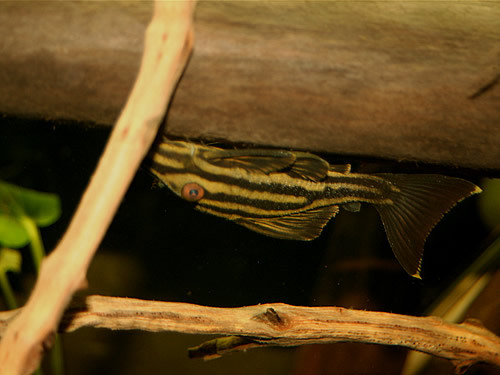 Therefore, a few pieces of drift wood are required: not only does this fish extracts certain elements and nutrients from the organic layer which forms on the wood over time (also known as "Aufwuchs"), it actually eats the wood itself, possibly for digestive reasons. 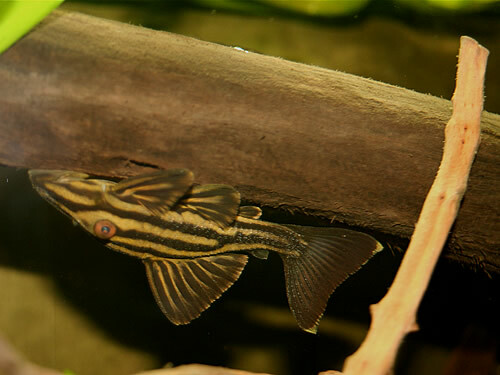 As wood does is not very rich in nutrients, it means this fish consumes vast amounts of it, and produces an almost equal amount of waste (for which reason a very strong filtration system is an absolute necessity). 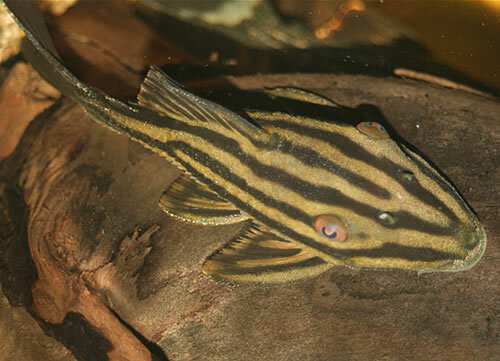 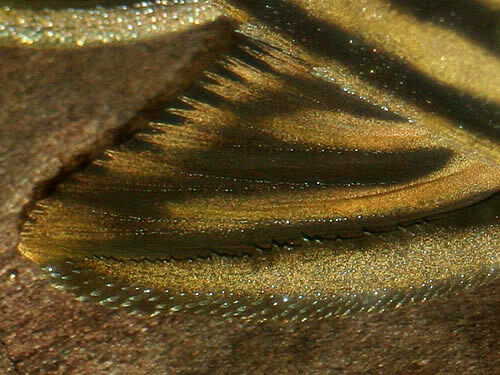 This fish is usually pretty secretive, and when purchased as a juvenile not the most sociable of fish: it will be active mainly during the night, and will only rarely make a day-time appearance. 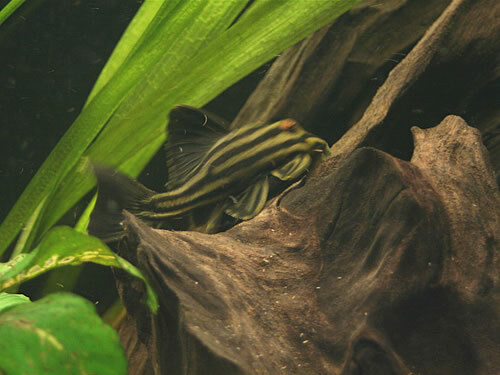 Only over time, when the fish matures and becomes more comfortable in his tank, he will start to make more frequent appearances during day times. 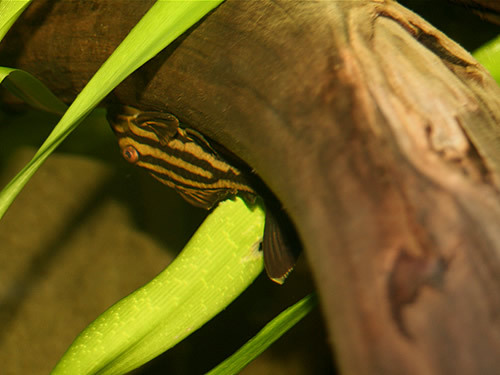 In some occasions will even start to get used to the owner to such an extent that it will emerge out of hiding, hoping for a little snack. 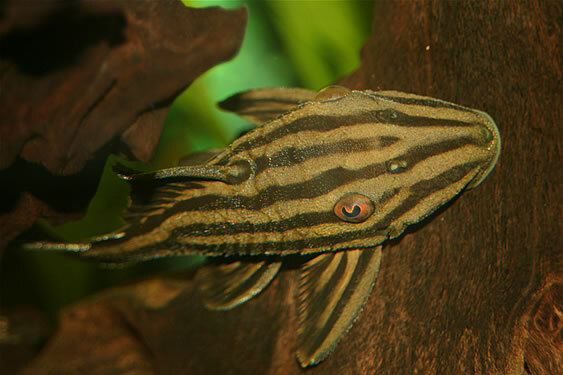 This Platinum Royal Pleco forms a group of similar-looking fish found throughout tropical South America. 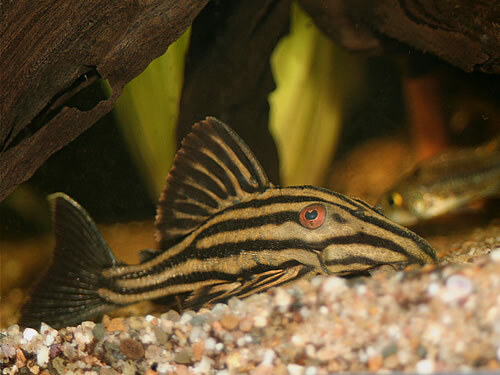 Regional differences are caused by variations in habitat, diet and water chemistry.